Dust mites are a leading cause of allergies and asthma. Literally hundreds of thousands of these tiny insects can make their home in your mattress. There are a number of ways to control and get rid of dust mites. This is a guide about getting rid of dust mites. Calling all allergy sufferers! Researchers in the U.K. have found that leaving your bed unmade during the day reduces the number of dust mites, because the mites need the moisture from the bedding to survive. Therefore - letting the bedding dry/air out will kill many of them! Who knew? When I change the sheets on my bed, I place a clothes softener sheet on each corner of the clean mattress pad. Then I put the fitted sheet over that, followed by the top sheet. Dust mites hate the smell, so they stay away! Complete elimination of dust mites is unlikely. Reducing populations is the only likely way to reduce allergens in the air. Reducing humidity in the home by using a dehumidifier may help reduce populations, but reducing humidity levels in microclimates, such as in bed fibers or carpet fibers, is impossible. Chemical control is not necessary, nor will it have a lasting effect on dust mite populations. Regular cleaning and vacuuming will have a greater impact. For those of you who are really paranoid and "bugged" about mites on furniture, beds, pillows, rugs, etc., purchase one of those inexpensive portable steamers that use just water and steam those areas. It kills mites deep down. Also, for those of you battling fleas, steam, let dry and vacuum to help with the eggs/larva, even in your pet's sleeping areas. I use it on my cats kitty towers. I love my steam machine! Good for cleaning and sanitizing almost anything! I'd like to know if anyone knows how to make mattress and pillow covers at home that keep out dust mites. Every morning when I rise my eyes look and feel like I have the flu, in fact, this starts as soon as my head hits the pillow. I have priced the special pillowcases and choked from sticker shock. My Mother is a very talented sewer if we just knew what kind of fabric to buy and even I can sew a pillowcase by hand if necessary. We just need to know what fabric to use and where to find it. I am also allergic to dust mites and my allergist told me that the material "suffocates" the dust mites...the pillow cases I have seen have a plastic interior. P.S. I was miserable like you are until I purchased a dehumidifier....Dust mites cannot live below a certain humidity. I saved up but it was worth it and now I do not buy all that allergy stuff and I feel fine. I read where someone was spraying alcohol to get rid of bed mites? Do they spray the bed? floor? I change and wash all bedding (sheets and pillow cases) once a week, and never heard of the alcohol treatment. Please advise. 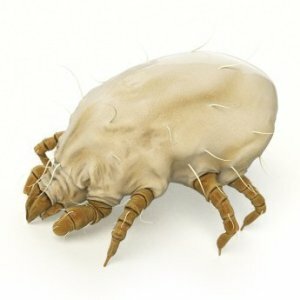 If you mean dust mites, they thrive because of the combination of the skin we naturally shed and moisture. They are not harmful unless you happen to be allergic to them. One thing that is really helpful is to 'not' make your bed immediately upon getting up and let the moisture dissipate for a few minutes first. Shake the top sheet slightly and then wipe the bottom sheet with your hands like you're doing a quick dusting before making the bed is helpful too. I honestly don't know about using isoproyl alcohol because have never heard of using it but if using for bed mites just use it on the bed but let it dry thoroughly before placing the sheets, etc back over it. If you're talking about bed bugs that definitely is another story. And you definitely would know if they are bed bugs because they bite, bite, bite! Those critters get absolutely everywhere and are so difficult to get rid of that even some professional exterminators won't take on the job because they can't guarantee they can get rid of them. There is a worldwide epidemic with those bugs right now and even in places you wouldn't expect them like libraries. If they are bed bugs call oodles of exterminators for ideas of what to do and lots of research via Google searches. I went to the vet and had the cats' skin scraped and the diagnosis is Sarcoptic mites. I adopted a little dog about a month ago and it seems her former owners had a bout of mange and she was not treated, so not knowing it she must be the culprit who brought them in. I had no idea she was infested she had no hair loss but sleeps with the cats and they look awful. Anyway, she and several of my cats sleep on the bed and pillows and with me at night at various times. I was at the vet on Thursday and dosed everyone with Revolution. Then I went to the pharmacy and got over the counter sulfur creme and perythrin shampoo for lice. I could not go to the doctor, as I have no health insurance. I have started itching and see tiny red dots on my skin so obviously I have also gotten the "bugs". Several posts I have read have said that you cannot get mange from your animals, but my vet says different and apparently he is right. I also read that the mites on the dogs and cats will not survive very long on humans, but it is now the second day and I am seeing more bites, like a rash and they itch like hell. I have washed all the toys, clothes, bed linens, pet beds, etc. with borax and sprayed bug spray on everything. Tonight I will try the borax in the bed. My dogs are still scratching. I must have had them for at least a month and thought it was fleas until I treated everyone for fleas and they were still scratching and losing their hair and I couldn't find a flea anywhere. I also read that Nature's Miracle was a remedy and bought a gallon of it, even sprayed it on myself. My question is: How long are these critters going to remain on me and how do I get them off of me? I also have a baby granddaughter that I don't dare touch or hold until this is cleared up. Can my daughter or the baby get the mites if they are just near me or do they have to come into contact with my skin? Help. You poor thing. I feel very bad for you. Mites hate eucalyptus. It would be great if you could purchase some eucalyptus essential oil at a health food or vitamin store that sells essential oils. And purchase some jojoba or almond or olive oil to go with it. For yourself, in one ounce of olive oil (or the jojoba/almond oil) place 1 tsp. of eucalyptus essential oil. Rub this on the itchy affected skin. Add a lot of eucalyptus essential oil drops to a bunch of baking soda. Use this for sprinkling on carpet and furniture and let it sit for 10-30 minutes and vacuum. Add eucalyptus essential oil drops to the laundry wash and rinse cycles when you do the wash.
Add eucalyptus essential oil drops to cotton ball and place throughout your home (out of pets reach). Add eucalyptus essential oil drops to your light bulbs when you turn on the lights. Add eucalyptus essential oil drops to your pets collars. Boil some water on the stove with eucalyptus essential oil drops added. Brewers Yeast Flakes for your pets. Any pests don't like brewers yeast flakes. Add 1 tsp. to your pets food daily until the mites are cleared up. I truly hope this helps. Can you put pillows in the microwave to kill Dust Mites? Down? How long would I leave it in and at what heat? Put them in the freezer for 24 hours. I saw this on a cleaning show on TV. Can anybody help? Dust mites bother me all the time. I've tried sprays and I keep my home dust free. What else can I do? My house gets cleaned everyday, I use organic everything however I cant have dust mites around me so I had to invest in Hunter Air machines which have a filter and a pre filter. I know its money but in my case well worth it (I was able to pay mine off in 4 flex pays on HSN) Once you see how much "yuck" is in the air it amazing. I have black furniture which shows everything, the dust was almost totally unable to be seen by the eye.The air is so clean, I clean everyday no pets I cant imagine what that filer would look like when that isn't the case. Even on a fixed income I would never be without mine was worth the sacrifice I made. I have heard you can find some at yard sales,you may check Craig s List also.In my case I'm very happy I purchased brand new ones, since you can buy the filters if you find used one make sure the filters are available, then you will see a big difference immediately. You can call the company, or check where I purchased mine;only reason I like the "new" in this case, I wanted the way I could return them if it didn't work like I had heard.Since then I do have a used on I got for 7 dollars,use Hunter pre filters on that one that I make myself(from the scrapes of the other ones) they can be washed out and reused a couple of times also. The main filter they have one that can be vacuumed (say it goes back to 95%) original working condition, mine I have to change every 3-6 months.If you get the one which can be cleaned its only one time price and well worth it. Sorry if this isn't what you had in mind. I tried everything, dust in am and by noon back;when I heard dust mites are alive, use the bathroom like flies, any other animal I couldn't stand it. I have lupus also and dust isn't good for your immunity system. What kills mites on the human body and clothing? Try bathing in a solution of bleach and hot water. As for your clothing try fabric safe bleach washed in hot water. This may sound weird but my husband gets mites on him all the time and this is what he does. It is harmless to the skin if used in minute amounts and yet effective. Also you might try skin so soft from avon to deter the mites. My house is full of these mites, but I dont know what they are. They are not scabbie mites or dog mites. They are driving me mad.